How do i start writing and where do i post it!! Please give me a detailed information relating to the writing forum and where do i share my blogs. 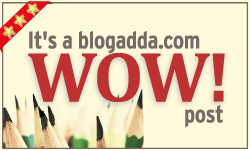 @rachana123 We announce WOW on our blog at http://blog.blogadda.com - Do visit and have a look there every weekend. Submit the entry that you write for WOW using the form link given at the end of the post.